With spring just around the corner, it means it’s time to start some spring cleaning around the house. However, spring cleaning shouldn’t just stop within the four walls of your home. You should also take time to examine your roof, as well. Although it may not rank as a top priority, taking care of your roof when the seasons change can go a long way to making sure it lasts you for years to come. 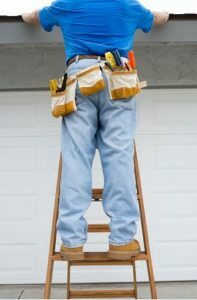 Inspecting the roof begins with a visual examination, taking a look over your roof from a position on a ladder or from a higher floor if you have porch or patio roofs, looking for any signs of cracked caulk or rust spots on the flashing. If there is, these could be early warning signs of leaks that could develop, allowing water in and potentially causing damage inside your home. You should also take a look at your roof’s shingles to see if any are blistering, curling or buckling and, of course, if there are any missing. Winter can be a difficult season for roofs, with cold water freezing and thawing and heavy winds and snows. If you have any problems with your shingles, call a professional like the team at Roofing by Bruce to come out and take a look. After inspecting the shingles, look around to see if you notice any moss or lichens anywhere on the roof. If by some chance you find some, it could be a sign of underlying decay or moisture retention, which may also be symptomatic of your roof or the substructure needing to be replaced. A roofing professional can give you a better assessment of your individual situation. Now if you have a fear of heights or are unable to climb a ladder to take a look at your roof, don’t worry. Many of these issues can be spotted from the ground with a simple pair of binoculars. Have a steep roof or other blockage preventing you from getting a good look? Our professionals can also perform a full roofing inspection for you, giving you a review of your roof and letting you know if you have any issues or need to make any repairs. Roofing by Bruce offers new roofing installation, roofing repairs and inspection services in East Stroudsburg and throughout the Pennsylvania Poconos. Our specialists stay up to date on the latest installation and improvement methods to give you the best possible products and service. To learn more or to schedule an estimate, feel free to call us today at 570-424-7250!